Don’t Arrest Me! I’m your Motivational Speaker! I just got back from my trip to the FBI. What a blast! 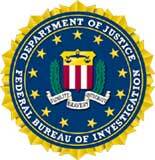 The FBI’s CJIS has a huge building in Clarksburg, West Virginia with over 2000 hard-working government employees. They have been working hard — to say the least. It is amazing as an outsider to walk in there (once I got past the background check, and the extensive security) and see that are living what we read about in the newspapers. Before I started speaking they had a few of their chiefs give some announcements, some state-of-the-FBI, and other related announcements. I was blown away. For my other clients these announcements are often important to them… but hold little interest to the rest of us. Not so with the FBI. These guys are doing some serious work. Among the groups in my audience were the finger print folks who help in so many ways… including everything from identifying terrorists to keeping offenders out of child care centers to helping to identify crime victims. Amazing…. my favorite part of the day was getting a brief tour of where they work. So many things impressed me. But what struck me hardest was that there are a ton of folks out there keeping us safe who are doing NOTHING like what we see on TV. Most of my audience don’t carry guns, crash down doors, or use handcuffs. They work had with their computers in there cubicles. They look like they could be in a call center or at an insurance help desk or…. a million other jobs. But these folks are keeping us safe, tracking down bad guys, and generally doing a amazing — if sometimes tedious — job. FBI… thanks for inviting me to be your comedian motivational speaker. Thanks for the tour. But most of all… thanks for your hard work. I was so very impressed. FBI — You Rock! Technorati Tags: Comedians, Motivational Speakers, Humor, Humor in the Workplace. https://www.bradmontgomery.com/wp-content/uploads/2018/11/logo-1-495x198-1-300x120.png 0 0 admin https://www.bradmontgomery.com/wp-content/uploads/2018/11/logo-1-495x198-1-300x120.png admin2006-06-01 21:45:212006-06-01 21:45:21Don't Arrest Me! I'm your Motivational Speaker! Thank you for coming to speak! YOU ROCK! Everyone had a great time. We laughed more than we had in a long time. Hope to have you back again soon. By the way, my husband has a set of those teeth and he has used them at a toll booth in NC and also at a Cracker Barrel. You guys would get along great. Thanks again. Keep up the great work! One of my favorite magicians of all time… Comedians’ Failures are Hilarious.